Buying gemstone studded jewelry really turn out to be worms for a layman. The situation gets more complicated, especially when you are buying gemstones online. The online gemstone market is repleted with a plethora of fake gem sellers who promptly label a fake stone as an original stone to churn out the maximum money out of your pocket. And, they mostly get succeeded in their aspirations because most of the gem buyers have minimal knowledge about the stones. Having Survived in the online gemstone market for more than a decade, catseye.org.in will effort to guide you through this post to what not to do while buying gemstones online especially, cats eye gemstone. Always opt for a reputed or authentic online gem seller. Now, you must be wondering what do we mean by authentic gem sellers. By authentic gem sellers, we mean those gemstone dealers who have earned huge name and fame in this field. 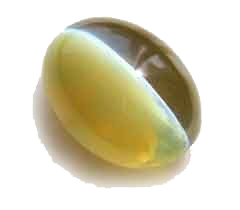 A Cat’s eye stone is a precious stone aligned with propitious planet Ketu. Wearing this stone will carry enormous wealth, sound health, confidence, intellect and fortune to its wearer. 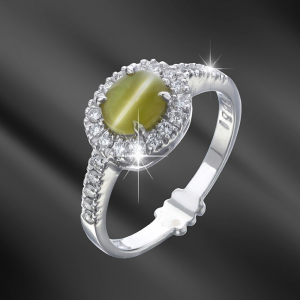 Considering the advantages of wearing cats eye gemstone, you should only wear real & certified stone. Hence, while buying this stone must check about the company, its history, product quality and reviews about the company. Cats eye stone occurs in several shades such as light blue shade and intense dark blue shade. A high-quality cat’s eye stone will have a light blue color and impeccable shine. Thus, while buying cats eye stone do consider the color characteristics of this stone. 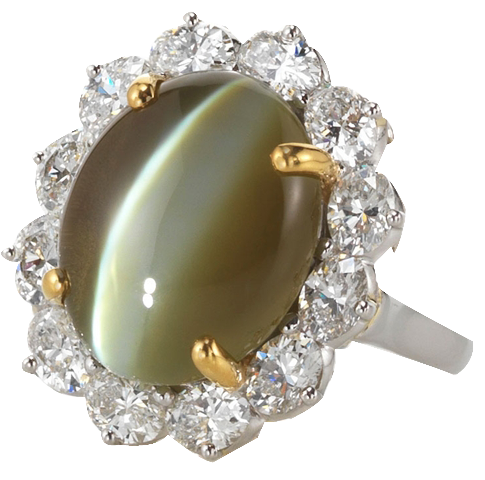 Do not buy cat’s eye stone if it appears to you dull and excessively lustrous because it may be a fake cat’s eye stone. A cat’s eye stone is an immensely hard stone. On the Mohs Scale, its hardness touches score 7.5. This proves that lehsuniya stone is extremely durable and it is almost impossible that it gets scratched easily. 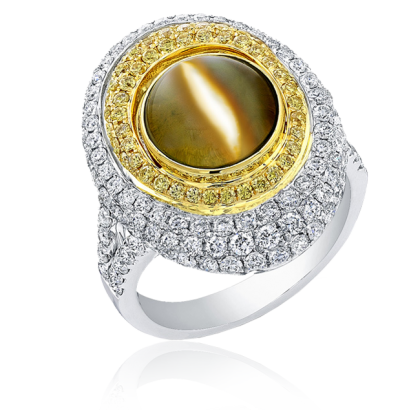 Therefore, if you come across a cat’s eye stone which easily perceives scratches, then that stone would not be real cat’s eye stone. Ask A Jeweler or Gem Dealer About the Treatments and Inclusions: It is evident that almost all stones have been treated or enhanced in one or other way. However, it is essential for a gem dealer or jeweler to inform you beforehand about all the treatments and enhancements a stone has undergone. Hiding these essential details ensures that jeweler is selling you fake product. Hence, only trust that jeweler or gem dealer who outwardly informs you all types of treatments or enhancements a stone has undergone. Often it has been seen that people easily fall into a trap when a shopkeeper uses this word “Sale” or “Discount”. But if you are about to purchase the best quality stones, especially the cat’s eye gemstone, which is a precious stone. Then, do not fall for these marketing gimmicks because in most cases, jewelers and gem dealers sell synthetic gemstones at discount prices to convince people to buy their products. Local jewelers also try to sell used gemstone that can cause a problem for you instead of giving any benefits. Be careful about that as most of our customer talked about that to our customer support representatives. Gemstone certification comprises of properties of the stone as well as enlist all treatments or enhancements a stone has perceived. There are several authentic gem certification labs persisting around the world which offer unbiased reports of the gemstones. For instance: GemLab, GIA, and IGI offers legit gemstone certification reports. Hence, do ask the seller to provide a certificate issued by an authenticated laboratory along with the stone. Keeping the above-listed points in your mind will make it easy for you to purchase a high-quality cat’s eye stone. Always ask for the gemstone certificate from reputable gem certification labs.